No injury too small, but what is Physiotherapy?  Physiotherapy aims to restore movement and function when a person sustains an injury. The foundations of Physiotherapy practise are based on a comprehensive knowledge of the body’s anatomy, physiology, biomechanics and pathological processes. With this combination of knowledge a Physiotherapist can evaluate pain and dysfunction to determine how best to resolve it. Gary Sadler and his team endeavour to work with people to promote their own health and wellbeing. Our Physiotherapists have a hands on approach and are trained to use soft tissue techniques, joint mobilisation and manipulation, exercise prescription, and a multitude of treatment modalities to treat each persons individual needs. Physiotherapists are governed by a professional body to ensure that high standards of practice are maintained. Have injured a joint or a muscle. Are experiencing persistent pain in your neck, back or any other muscle or joint. You are training for a major sporting event and would like to prevent injury. You are pregnant and would like advice on strengthening safely. Need assessment of your Work Station. Had surgery to repair joint / ligament / muscle dysfunction.